We have recently purchased some fittings for our home and we wanted to use vintage fittings to soften the newness of everything else. Adding vintage details seems to make a room more lived in, avoiding a showroom effect. It was fun hunting down various bits and pieces, though of course everything we found which was, in our minds, perfect, cost more than the house itself. But we found that we didn't have to compromise too much in finding some lovely things which suited our budget and our taste in French 1940s interiors. 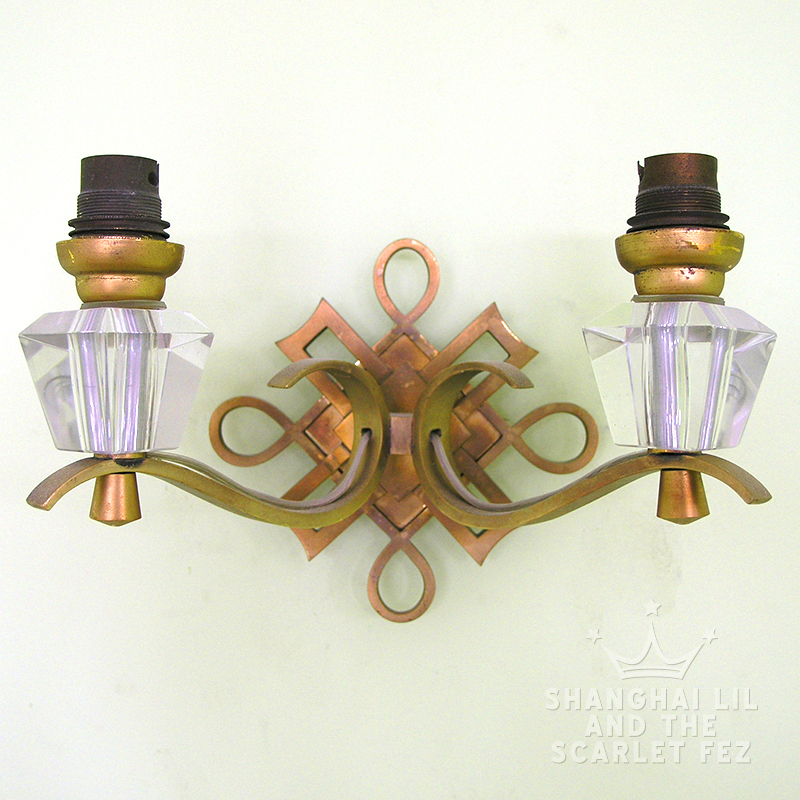 Choosing a warmer palette than usual, we chose a couple of bronze light fittings, which are warmly golden with the patina of age. 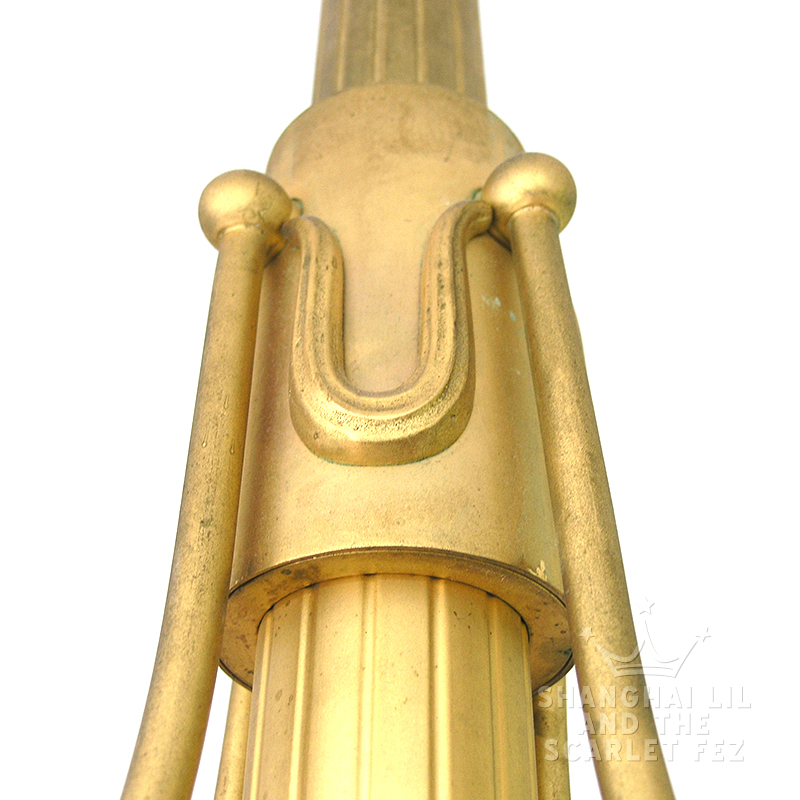 Four arm bronze and alabaster ceiling light by Petitot. 1930s. Glamour. Maison Petitot started in the Paris in the 1870s, but it is probably best known for its art deco light fittings from the 20s and 30s. Specialising in bronze and other metal fittings, it teamed up with a number of fancy glass manufacturers like Sabino and Mullers Freres for the shades. I love this fixture because of the heavy stylised drapery. Maison Leleu. 1940s-1950s. Looking sad without shades. We also needed a couple of sconces and we found these bronze and glass (I wonder if the glass is actually lucite because they never feel cold like glass, and also, lucite was a modern and chic material to use at the time) sconces from Maison Leleu (I should say attributed to as they aren't signed). I wondered whether to clean these up a bit by polishing them but it turns out that they have been lacquered (whether at the time of manufacture or since, I don't know) and to clean them risked damaging them. It's fine, of course, I'll take the patina. 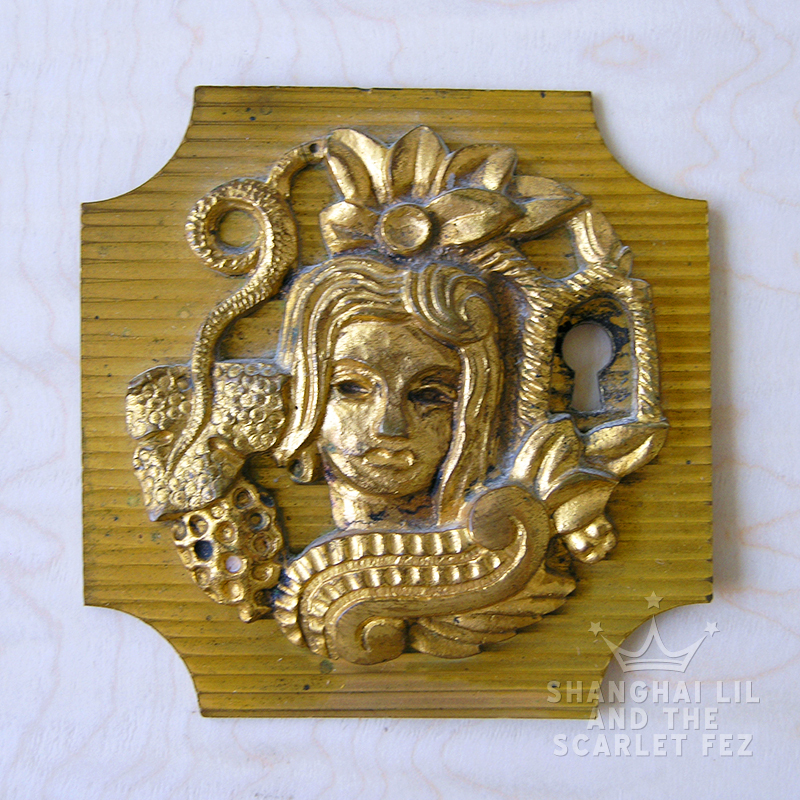 Bronze key plate. Vadim Androusov. 1940s-1950s. Love. My final purchase was a small key plate by the Russian/French sculptor, Vadim Androusov. Androusov was known for his terracotta, stone or wood figures from the 1920s but later created bronze fixtures for grand cabinet makers like Andre Arbus and Jean Pascaud. While I am waiting for the people from xlotto to send me a giant cheque, I am not in a position to purchase any such furniture, so when I saw this little key plate, I was more than happy to buy it! It's a small thing, I know, but it's a lovely piece of sculpture in its own right and resonates 1940s-1950s French interior design.